This forceps has rotational and to-and-fro adjustments. 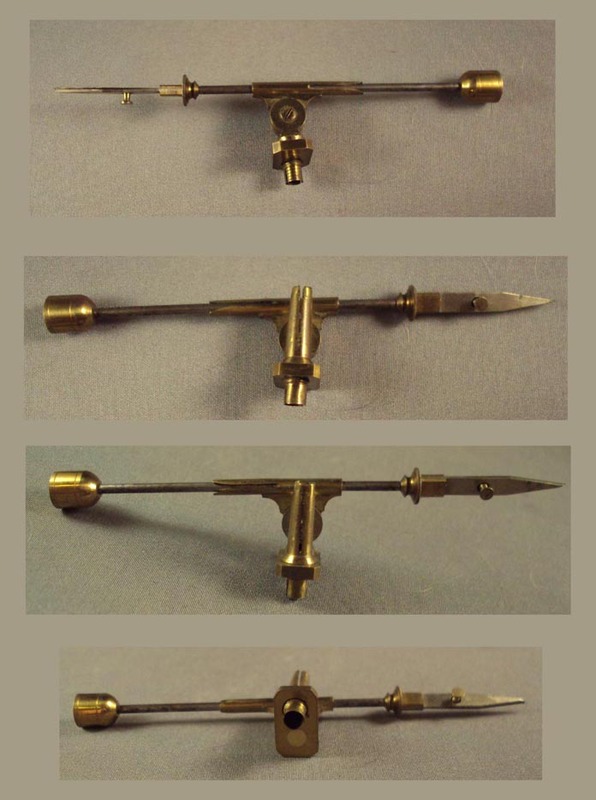 It was designed to hold a small specimen like a leaf or fly, but a smaller one than the 3-pronged forceps. It attached by sliding onto a vertical rod at the back of stage. The pointed tip is spring steel and the tips are separated by pushing on the tiny button. The other end has a cork filling the brass piece, to allow a pinned specimen to be attached.